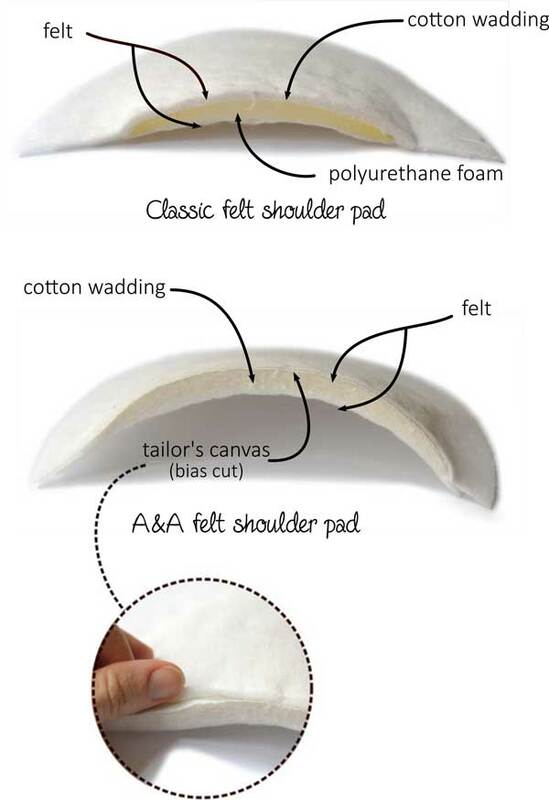 Further to our article on "laying a sleeve head strip and a felt shoulder pad" on a jacket or coat (and its video tutorial), we are expanding our range of sleeve head strips and we present new shoulder pads we did manufacture to meet our flair requirements. The cotton wadding does not subside in time unlike the polyurethane foam which also tends to disintegrate. The tailor's canvas layer ensures good support and is better suited to the rounded shoulder. 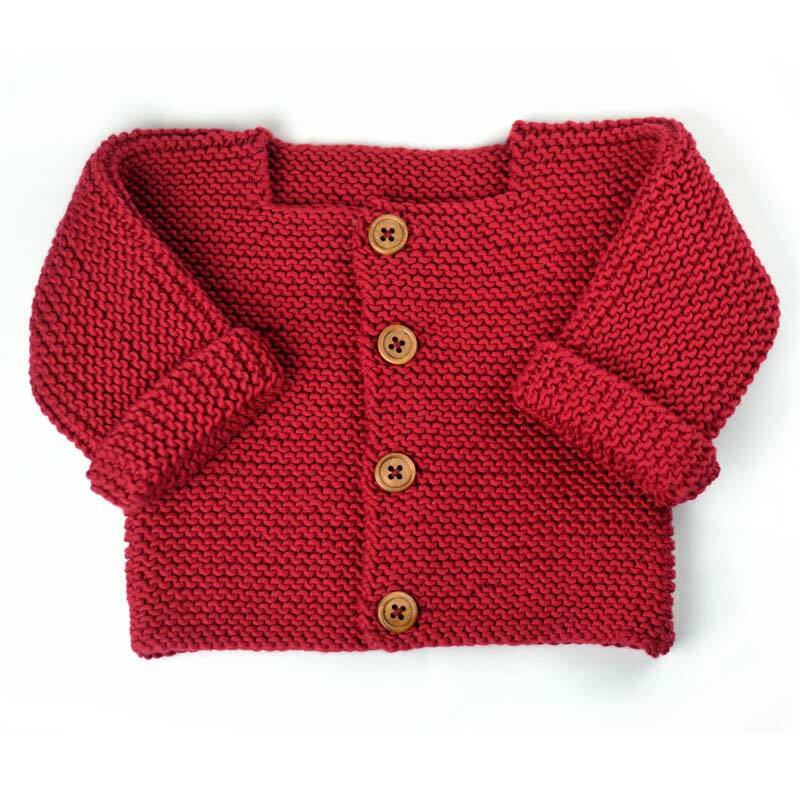 You will also notice that the shoulder pad naturally takes a rounded manner. This shoulder pad therefore stands much better than the last. 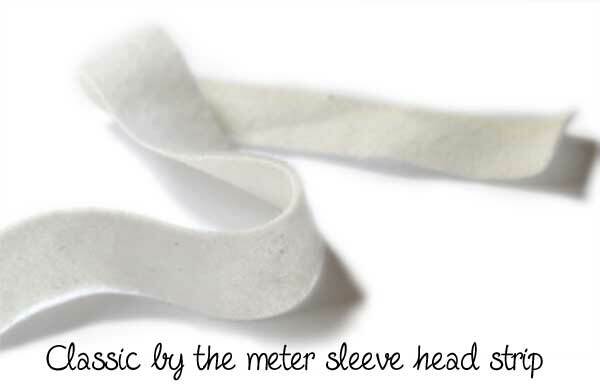 - The most common and universal, sold by the meter, you have to slightly deform it for the assembly so that it follows the sleeve head. 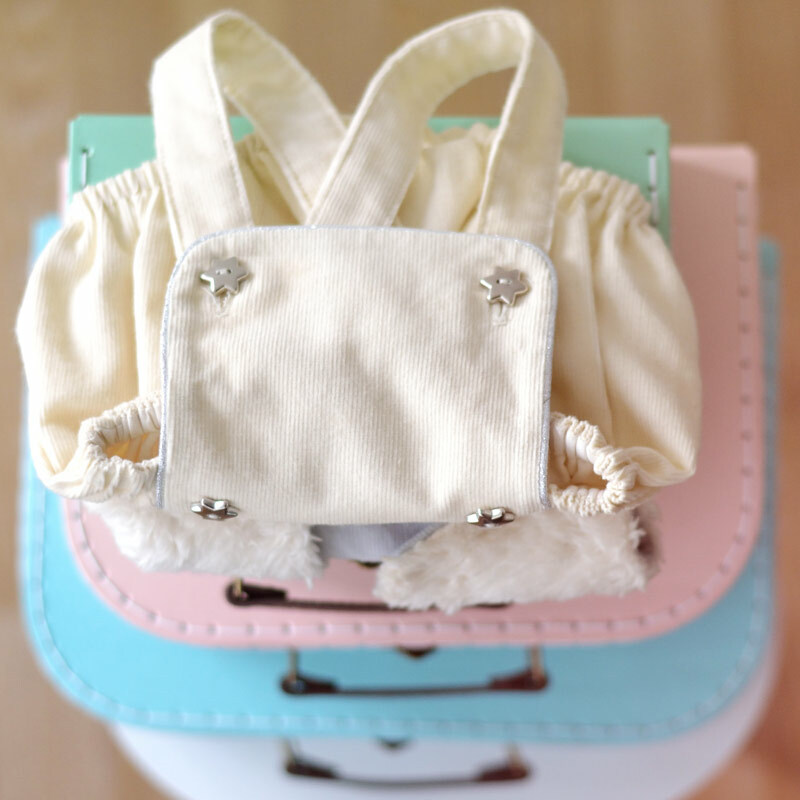 It is made with a layer of wadding + a very thin layer of foam for the flair. 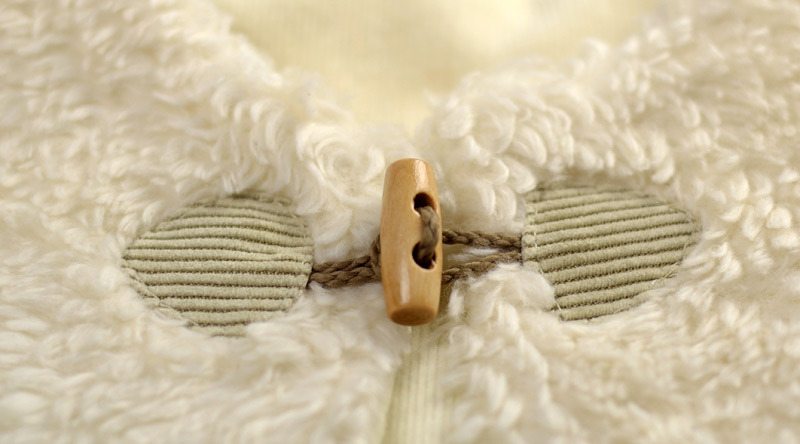 - The shaped sleeve head strip for jackets and coats in heavy fabrics. 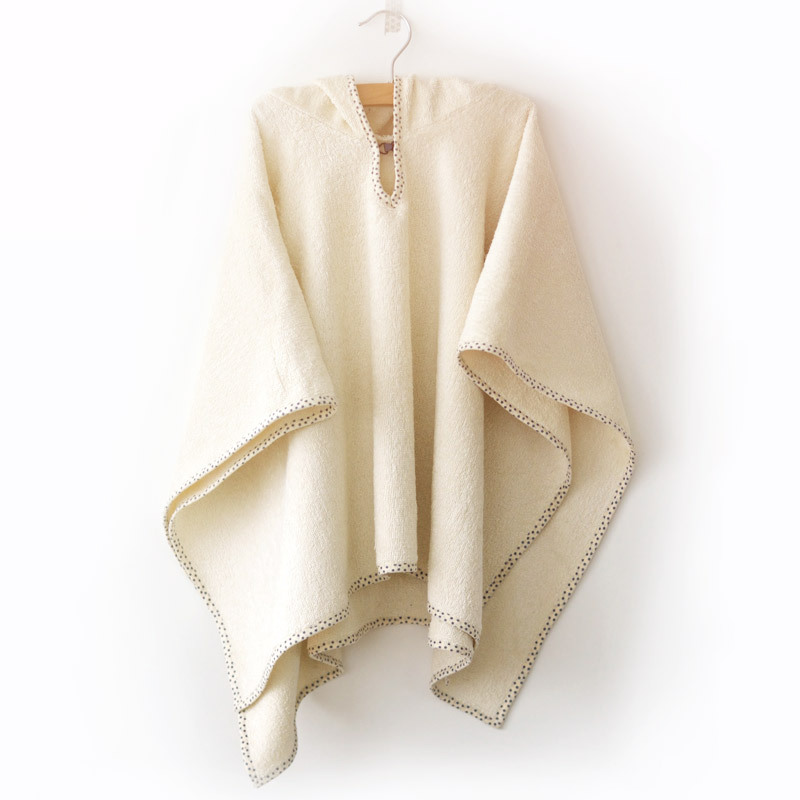 It is composed of a white wadding layer. This sleeve head strip is already in shape and ready to be installed. 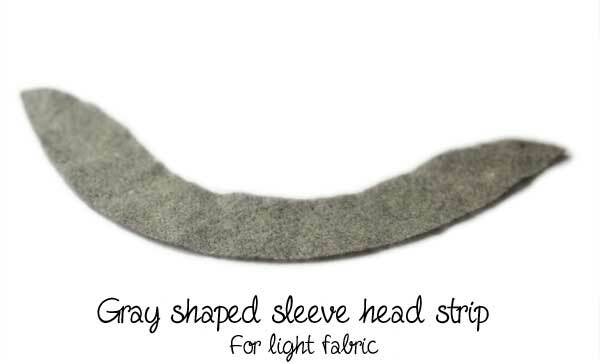 - The shaped sleeve head strip for lighter fabrics that require less support. 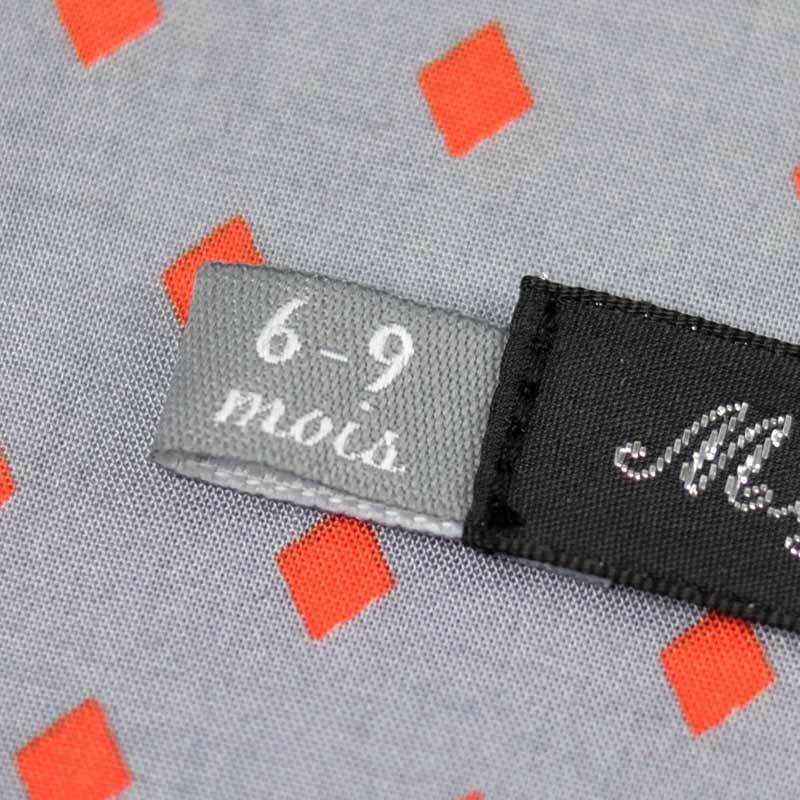 Warning, if the fabric is a bit transparent, gray can be seen. 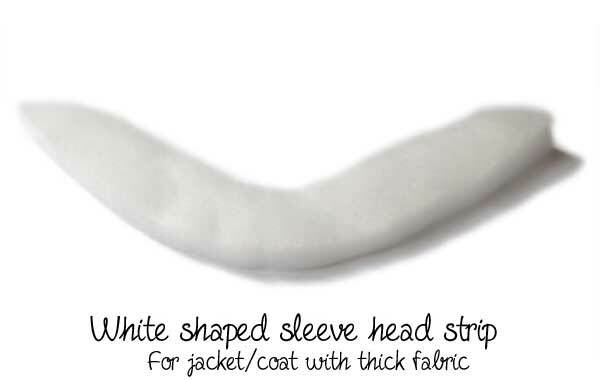 All our finishing items: shoulder pads and sleeve head strips are visible in the section "Technical products" of the haberdashery. 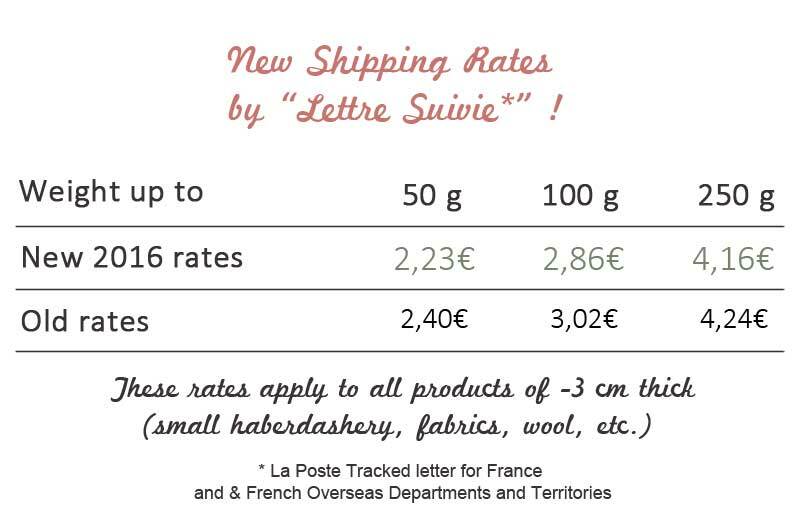 The year 2016 begins with good news: First the decline in new shipping rates for "Lettre Suivie" (tracked letter)! The tracked letter is the type of delivery you most often choose because the most convenient and the most economical. 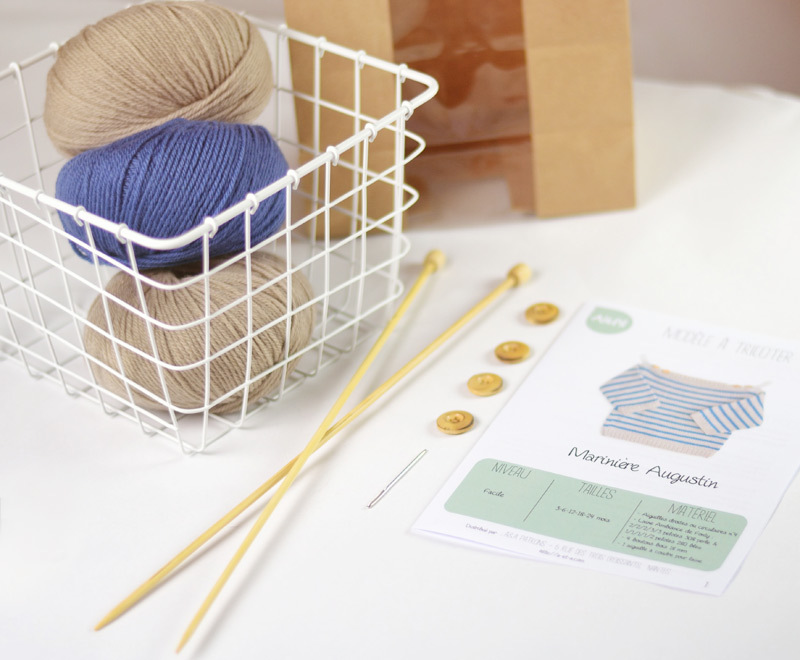 It lets you receive, after about 2 days (for France), your small haberdashery, knitting, fabrics, patterns and custom labels. All this by following your package track via the link you receive by mail after processing your order. Other shipping methods are available and always visible on this page. (Mondial Relay, Colissimo, Chronopost and free removal at shop in Nantes). To estimate your shipping costs, you only have to take a ride in your cart and complete the fields in the table "estimate shiping and tax". 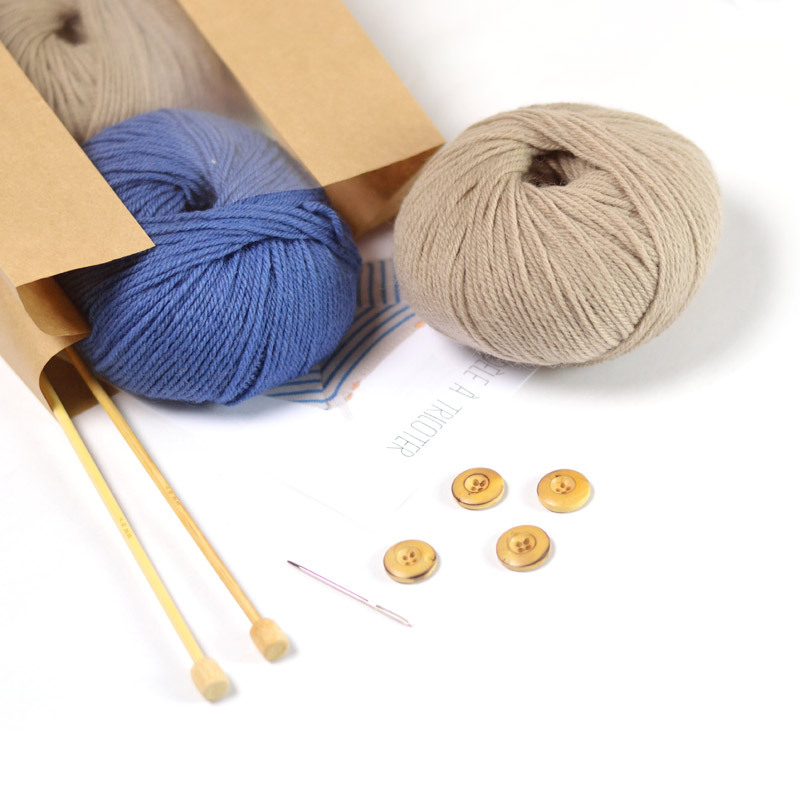 Your shipping costs are still estimated as accurately depending on the weight and not fixed. 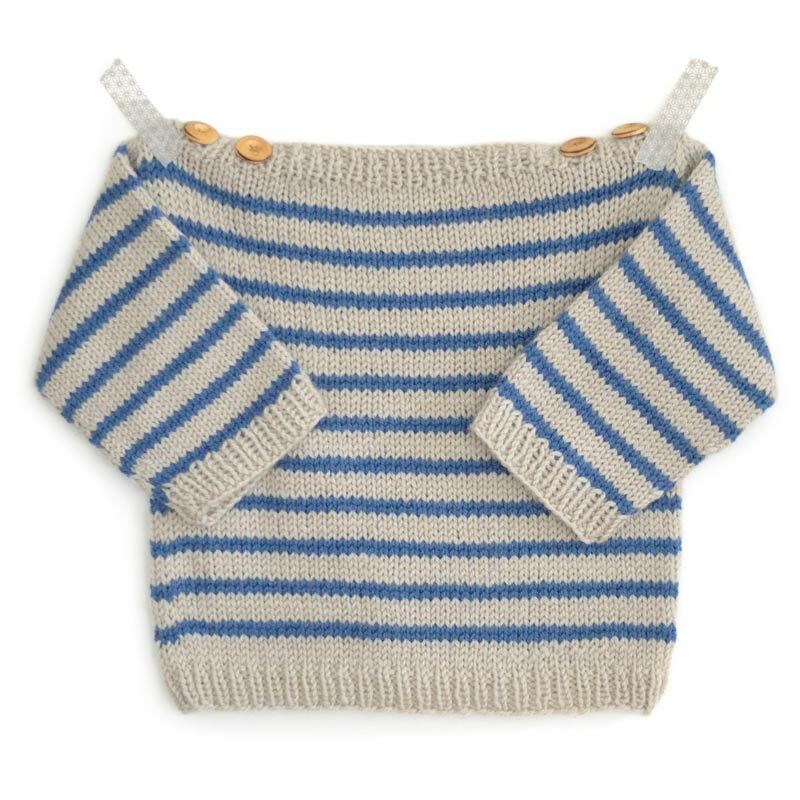 We have something new to show you as frog for children! 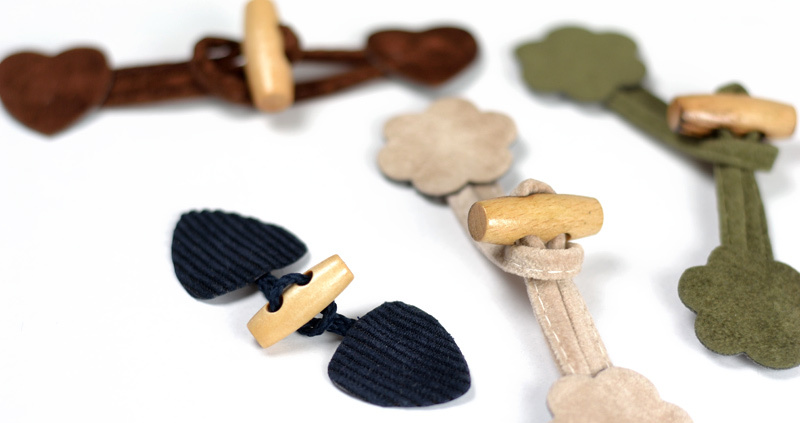 Frogs are these small fasteners in leather or fabric to close coats, jackets. They can provide an attractive finish in the twinkling of an eye. We therefore sought it everywhere in order to offer you various types of frogs: flowers, hearts, and different materials: imitation suede, velvet. and a pretty panel of colors. So you now have the choice! To choose the suitable frog for your garment, take into account the total length of the flat frog. Flowers and hearts frogs are indeed more suited to a child's clothing (from 18 months) than velvet frogs. We sewed the velvet frog on a small shepherd jacket and rendering is really nice. 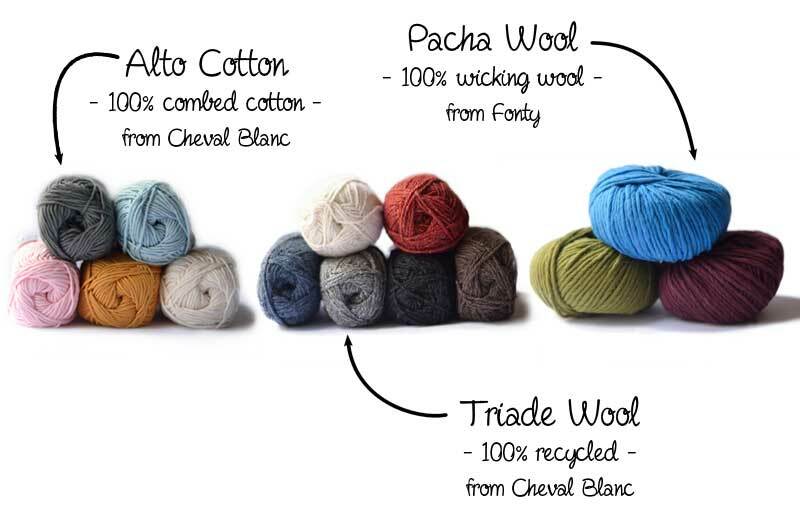 You will find organic coton fur here and, in the background, we can see the needlecord velvet which is here. 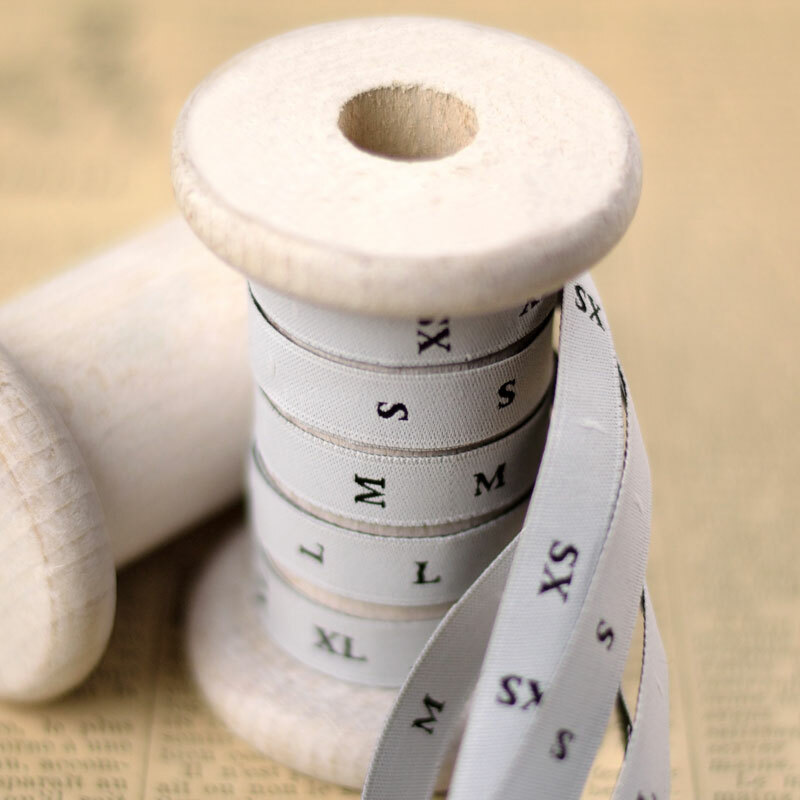 Pattern making is an integral part of our job. This job is relatively unknown from the public, but nevertheless exciting and at the base of any ready-to-wear collection production. 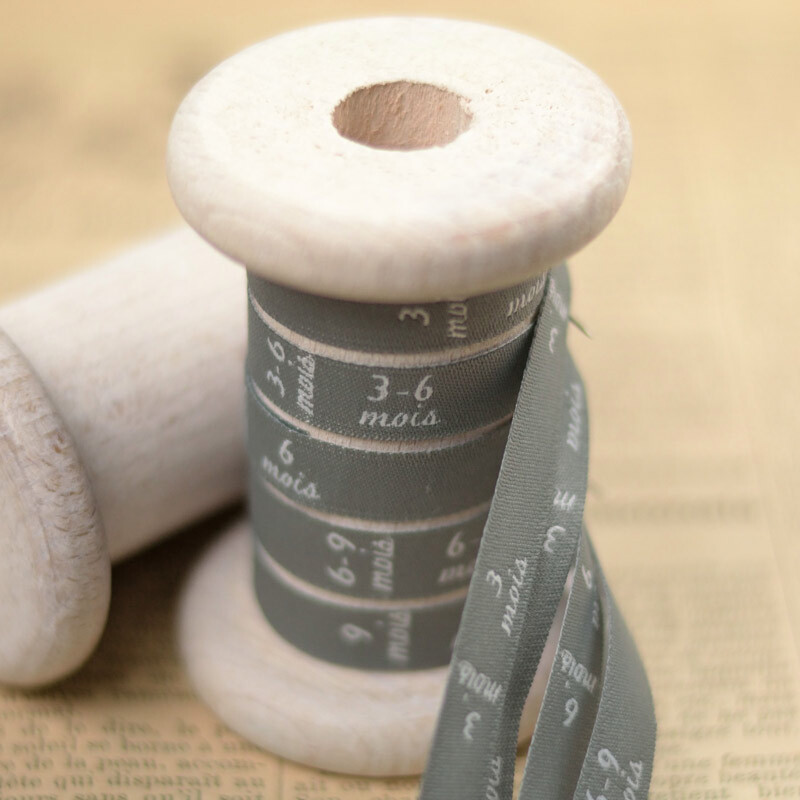 Following presentations on the A&A Patrons history and our work today, we wanted to offer you further on pattern making job and take the opportunity to understand the realization process of a ready-to-wear collection. 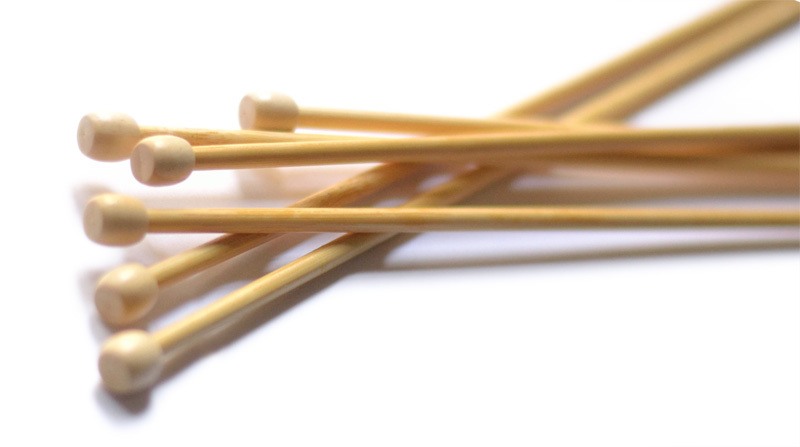 We are a small independent structure, so we can practice a very different working way than large companies. 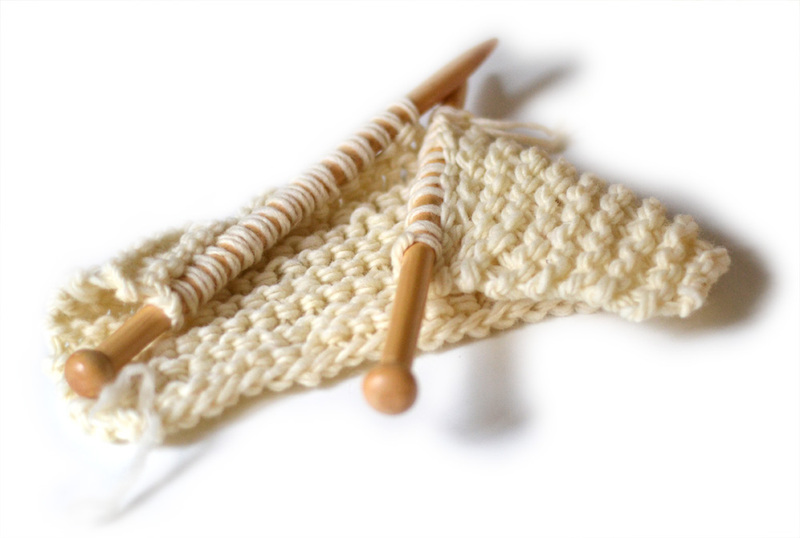 The pattern making we carry is very complete because we can develop each of the models from A to Z. 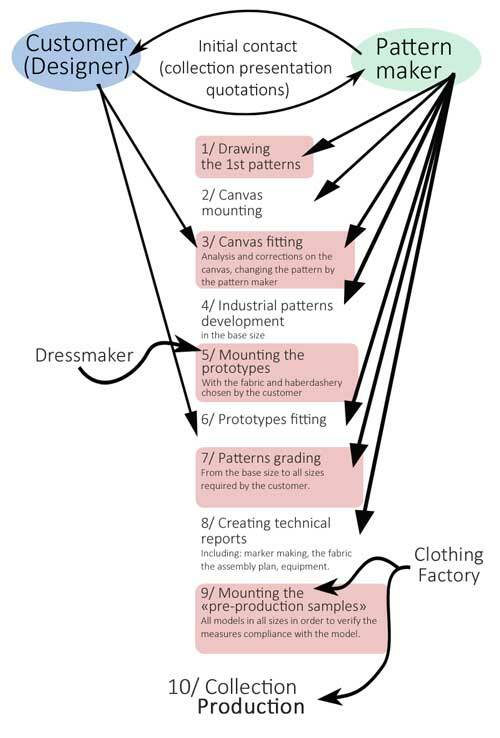 So you can observe that the pattern maker is involved in every step of the collection production! Even when it's time for the dressmaker or clothing factory to intervene, everything is prepared and supervised by the pattern maker. 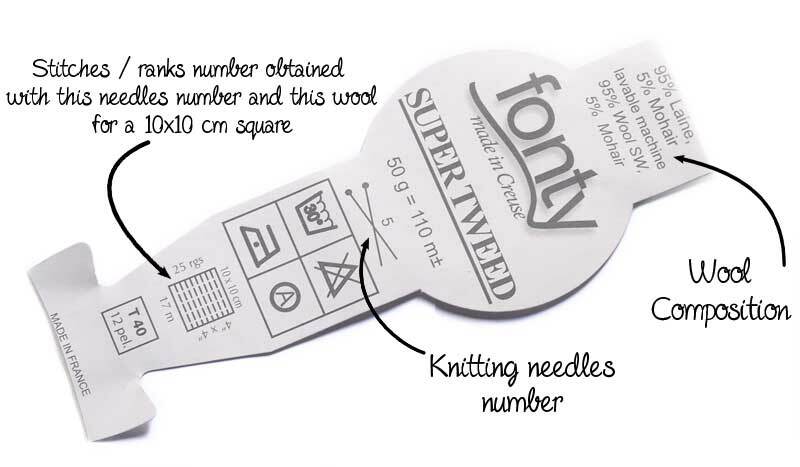 After the collection production, the pattern maker can also intervene to perform quality control of each of the garments. To verify that each garnment complies with the technical specifications (dimensional and assembly control). The A&A Patrons technical department can handle any type of collection, whether in women's fashion as well as men's and children's fashion. The pattern maker work in independent consulting firm such as ours, requires a lot of special skills: strong experience, accuracy (help by design software such as Vetigraph and Grafis), good fabrics and haberdashery knowledge, mounting techniques and finally a good amount of strength to handle stress facing collections deadlines imperatives. 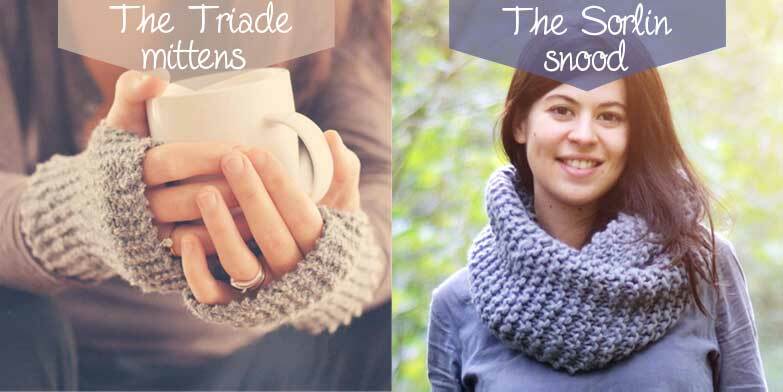 Did you already know the pattern maker profession? Did this article inspire you? To go further you can also visit our presentation "Fashion design, pattern making, grading".